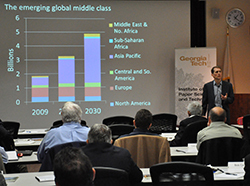 The Institute of Paper Science and Technology (IPST) hosted a workshop at Georgia Tech to develop potential forest bioproducts industry scenarios for 2035 that consider constrained resources, changed production processes, new mill concepts, and a greatly expanded world population with different markets and market expectations. 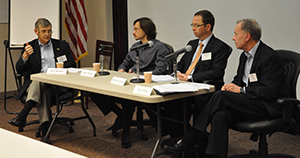 The scenarios will influence the upcoming research program at IPST, and serve as the starting point for the Institute’s April Executive Conference. 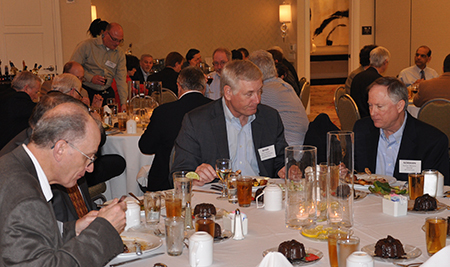 About 25 company, government and affiliate representatives met to consider possible economic, cultural, and social drivers that could significantly impact industry opportunities 20 years into the future. 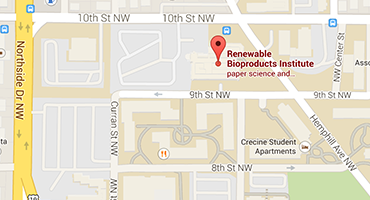 Scenarios developed at the workshop, entitled “A 20-Year Outlook for the Forest Bioproducts Industry: Implications, Challenges, Opportunities,” were imagined for the purpose of identifying key cross-cutting areas of research that could prepare the industry for a changing world. The annual IPST conference April 18-19 will consider the implications for the industry and the resulting priorities for further exploration and research. 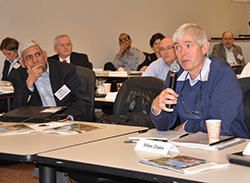 At the workshop, Sten Nilsson, CEO of Forest Sector Insights, from Sweden, delved into the need for forest industry transformation, the obstacles impeding it, and the opportunities in accomplishing it. 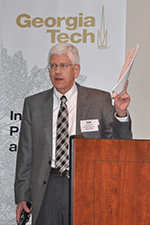 Agenda 2020 Technology Alliance President Ron Brown presented a review of dozens of existing forest products industry and business forecasts published by governments, business organizations, and NGOs. 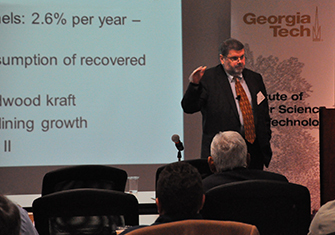 Ted Wegner, assistant director of the USDA Forest Service, Forest Products Lab, also presented an assessment of the future of forests and rangelands prepared under the 2010 Resource Planning Act. 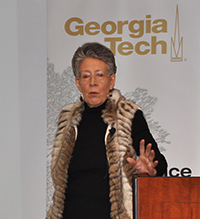 A Georgia Tech faculty panel introduced participants to technology-enabled opportunities ahead in several key fields.